Frustration has been expressed locally as the Taoiseach has stated his opposition to reopening a twenty four hour A&E at Ennis General Hospital. 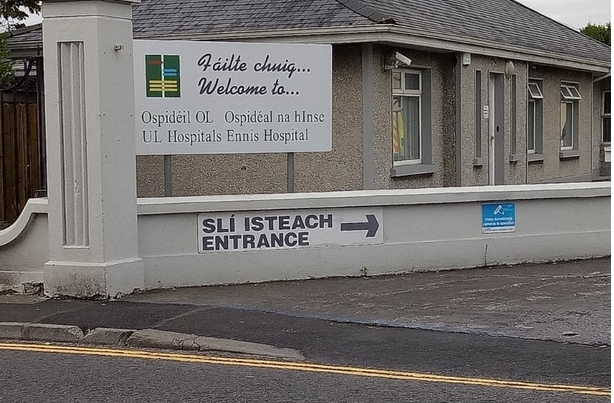 A two year old group whose primary aim is to see the reopening of Ennis General Hospital’s Accident and Emergency Unit were one of the first to criticise the Taoiseach following his four hour visit to Clare. Friends of Ennis General Hospital formed in December 2016 and organised a protest at the beginning of 2017 which was attended by close to 300 people to reopen the A&E. The group released its first statement in two years on Friday on the back of comments made by An Taoiseach Leo Varadkar. Speaking on Clare FM’s Morning Focus, Varadkar poured cold water on calls for the reopening of a twenty four hour A&E in the county. “The solution isn’t going back to a model of medicine that used to work twenty years ago, the solution is the additional bed capacity 60 under construction, the additional staff and the money but I absolutely know for sure doing that for four years extra staff, extra money, extra beds that won’t be enough, we need to look at what has worked successfully in other regions, look at the hospitals that have reduced their overcrowding to record lows and that involves changing the process within the hospital, it involves length of stay and it involves much more community care and it does involve better use of hospitals in the region which would include Ennis and Nenagh”. However when in conversation with The Clare Echo subsequent to his radio interview, the Taoiseach outlined that opening hours in hospitals like Ennis and Nenagh could be extended in the future in order to deal with record overcrowding at University Hospital Limerick. His comments come ahead of Monday’s meeting of Clare County Council where Cllr James Breen has tabled a motion seeking a vote of no confidence in Minister Harris. The motion has been moved on two previous occasions on the request of Fine Gael and Fianna Fáil councillors. In a public statement, Friends of Ennis General Hospital lambasted the “deterioration” in the Mid-West’s health services. “In October 2013 then Minister for Health James Reilly said we would never again see a situation where over 55 people were waiting on trolleys in hospitals in Ireland. Unfortunately that day never came to pass. 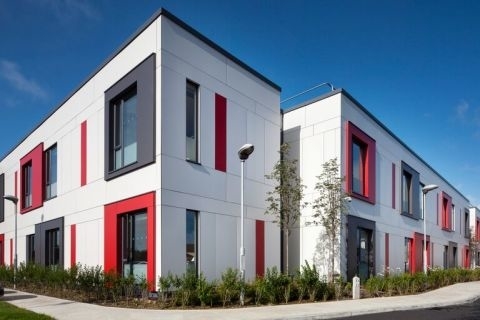 The tenure of this government has seen trolley numbers continually rise, and the recent closure of a 17 bed ward in UHL has made matters even worse that the were before, a situation that we would not have thought possible two years ago”. Both Varadkar and Minister for Health Simon Harris were criticised in the statement for their lack of knowledge and silence. “When Ennis hospital lost its A&E we were promised a centre of excellence to replace it. This ‘Centre of Excellence’ has never materialised”. Ahead of the local elections next month, the group is calling on candidates “to commit in writing and in public to support the restoration of the A&E to Ennis Hospital. We acknowledge that the return of the A&E will involve the restoration of the Cardiac Care/Intensive Care Unit to Ennis General and we expect that Ennis Hospital will have to be upgraded to a Model 3 hospital in order for that to happen. “Further more, we call on our 4 TDs as well as our current Senator to publicly issue a statement of support for the restoration of the A&E in Ennis. And we want a cross party parliamentary question raised with the Minister for Health to be supported by all 4 TD’s asking for the A&E to be reopened in Ennis”. The statement concluded, “The ball is now firmly in the lap of those who aspire to represent us in both local and national politics. Let us see if they play the ball or toss it aside in favour of their own agendas”. Last month, The Clare Echo reported that a new lifeline had been discovered for a possible reopening of the A&E. Based on National Planning Framework population projections for Ennis town, Cllr Johnny Flynn flagged, “When you look at the NPF table for towns with a population over 10,000 it recommends an A&E hospital be in place”. This suggestion was included in Clare County Council’s submission to the Southern Regional Assembly’s Regional Spatial and Economic Strategy (RSES).